Heading off for a few days without your pooch and looking for an alternative to dog kennels? You are in luck. Whether you’re away for an afternoon, day or longer, BorrowMyDoggy has a lovely borrower to suit your needs. Each one of our Premium borrowers has been verified so you can rest safe in the knowledge that your pup is being taken care of. Dog boarding kennels are no longer the only option when it comes to doggy day care. It can seem a daunting prospect, thinking of leaving your lovely ball of fur in a kennel, but BorrowMyDoggy takes away that stress by allowing you to choose a person to spend time with your pooch instead. As you get to pick the borrower who will be looking after your pup, you can make sure they are a pawsome match before leaving your dog with them. By choosing a borrower instead of a kennel, your pup will be able to enjoy all of the home comforts of a real home as well as plenty of wagulous walkies and belly rubs. 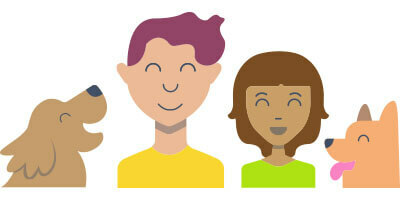 Before leaving your dog with a local borrower, meet and greet to make sure everyone gets along well (including the pup), owners then fill out and share the Borrowing Info Sheet. This includes important information, from vet’s name and address to eating habits and exercise routines, to ensure all dogs receive the best care possible. BorrowMyDoggy is an online platform dedicated to connecting dog owners with dog borrowers for walks, weekends or happy holidays. BorrowMyDoggy is passionate about helping dogs get more love and exercise, borrowers get special dog time and dog owners get the peace of mind that their dog is having fun. Whether you travel for longer periods of time or prefer weekend holidays, BorrowMyDoggy is a wonderful alternative to dog kennels. 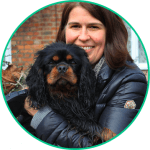 Every single one of our premium borrowers are verified by us and want to look after your dog not to get paid, but for the simple reason that they love dogs. Pretty pawsome really. There is no need to poodle around with dog kennels when there are hundreds of friendly borrowers simply waiting to take care of your doggy. 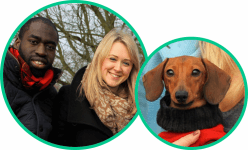 BorrowMyDoggy is all about getting to know other dog lovers really well before making a match. Just as you would if you were home boarding your dog with a friend, family member, or dog kennel, it's super important to know each other well locally before a dog is taken care off by another person. As a frequent traveller, owner Maggie joined BorrowMyDoggy for dog holiday care because she found kennels “tough” and that her dog, Maximus, would “pick up bad habits”. Get in touch with that perfect match. Enjoy around-the-clock access to veterinary professionals. Our owners have shared how BorrowMyDoggy is a more affordable option than traditional kennels and dog walkers, especially as our annual membership includes several beneficial services, including our 24/7 Vet Line, third party liability insurance protection and medical cover, which covers the owner and subscribed borrowers when taking care of a subscribed BorrowMyDoggy dog. Any questions about our membership feel free to get in touch! If you have recently searched for local dog boarding kennels, instead why not sign up, download our app, and take a peek at all of the wonderful borrowers in your local area. Searching for more dog care services? "There's always someone local who can look after our dog, George. He's with them one-on-one and able to build a relationship." "I love walking and now having Byron in my life I do lengthy walks and have a wonderful time with him." "Borrowing a dog is a fantastic idea." "Owners can save on the astronomical costs of kennels and walkers." 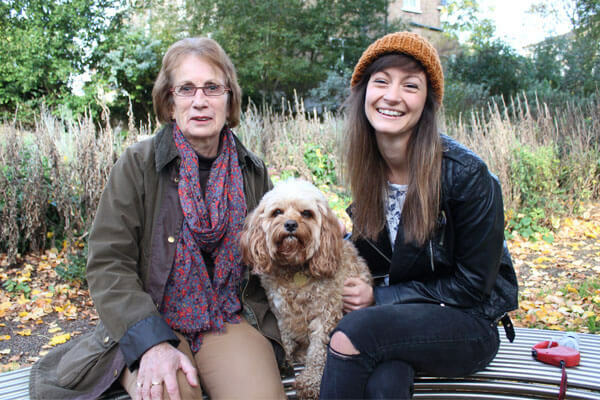 "Through BorrowMyDoggy I have met and become friends with my neighbours."